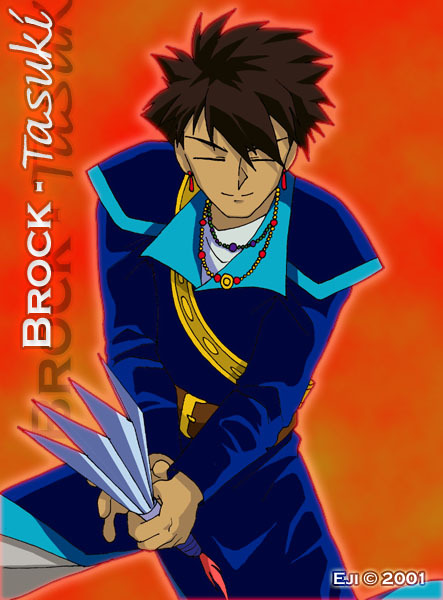 Firey Brock-Tasuki... now he was a little weird to handle. I think the hair ended up looking too much like Tasuki's, even with my attempts to make it spikier and less fluffy. The metal fan was no fun to draw, and it still looks a little weird to me, but I think that was the best I could manage, considering I've never drawn him before.